Claims are a crucial component of reimbursement and are prevalent in all companies, across all industries. 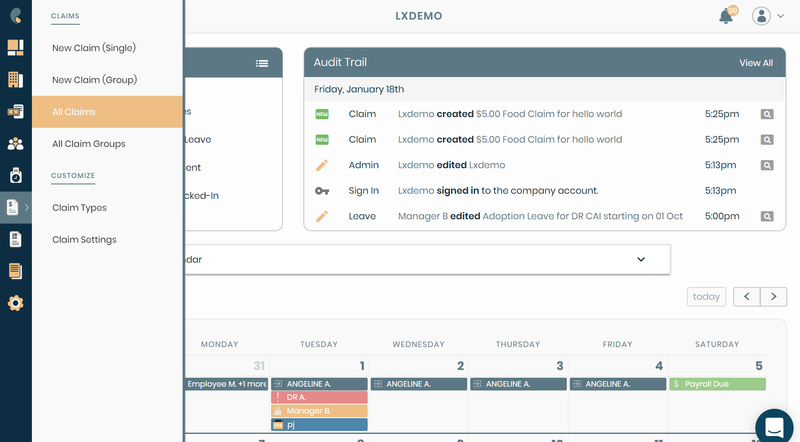 Payboy's claim management system is robust and highly customizable, and is one of our highlighted features. All claims must be approved to be included in payslip generation. As an administrator, you have the authority to create, approve and deny all claims reflected in the system. The Payboy software allows for two types of claims - Single and Group. Single claims are the typical form of claims - a single reimbursement for a cost incurred by an employee. Group claims are a collection of claims. For example, all claims incurred on a business trip by multiple employees can be grouped into one group claim, and approved as a whole. 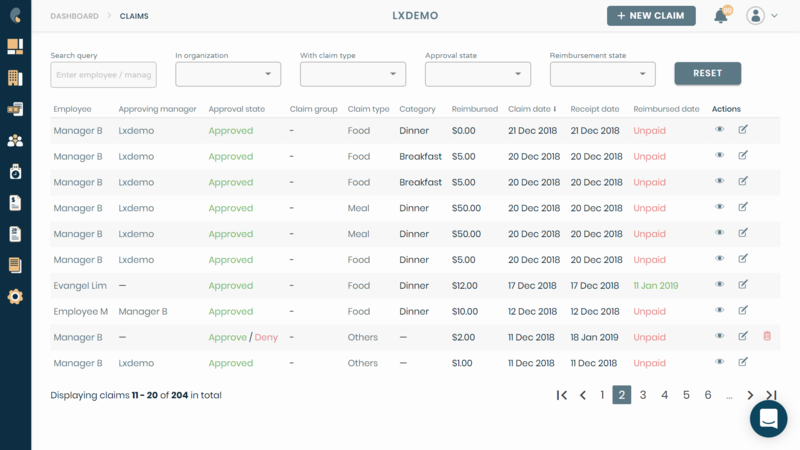 Select the Claim Type and Employee you wish to create a claim for. Depending on the Claim Type Settings, select the desired options. Click the Submit button to confirm. Click on the Notifications (bell) button on the top right hand corner to view all claims pending approval. Select Approve or Deny to approve or deny the claim. The claim status will be updated immediately. Open the sidebar and select Payroll > Generate Payroll. Select the employees to generate the payroll for and select Begin Payroll Generation. 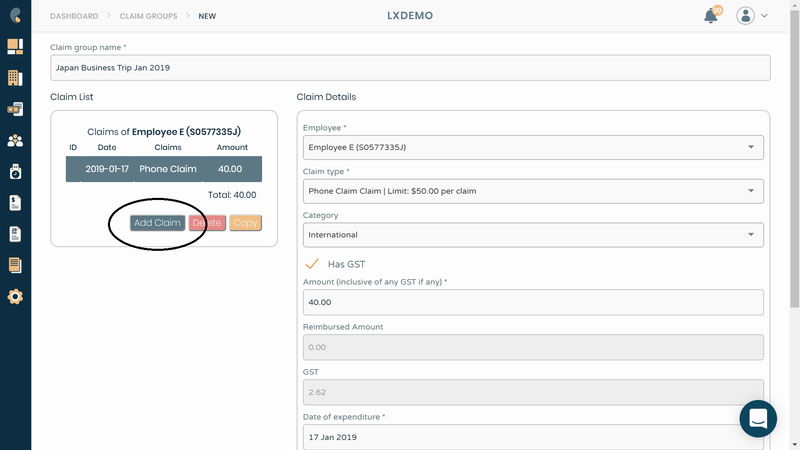 Look for the particular employee you wish to create a claim for and select +Add More Pay Items, located under the Department column. The selected claim type will appear on the list. Input the Value of the claim. 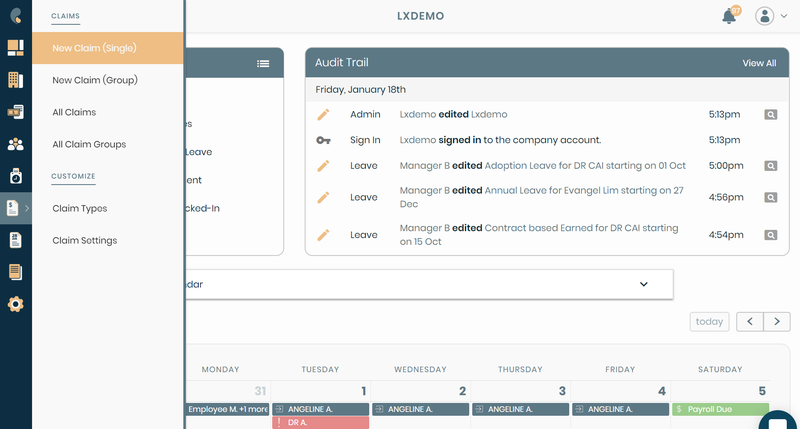 Click the Next button to proceed with payroll generation. 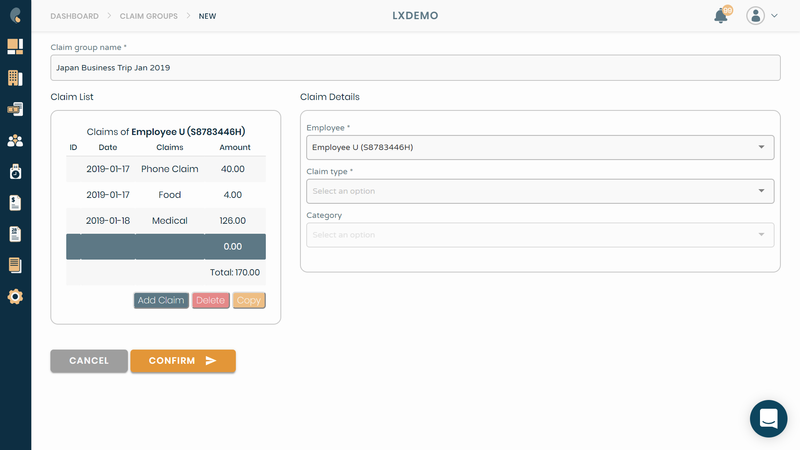 The claim will be automatically created and the reimbursement amount will be included in this payroll. View this article for more information on payroll generation. Open the sidebar and select Claims > New Claim (Group). Enter the name of the grouped claim. Begin inputting the details of the first claim of this grouped claim by selecting an Employee and Claim Type. Click on Add Claim at the left side of the screen. The claim has been added to the claim group. Repeat the above steps to add subsequent claims to the claim group. You can click on any claim to modify it. 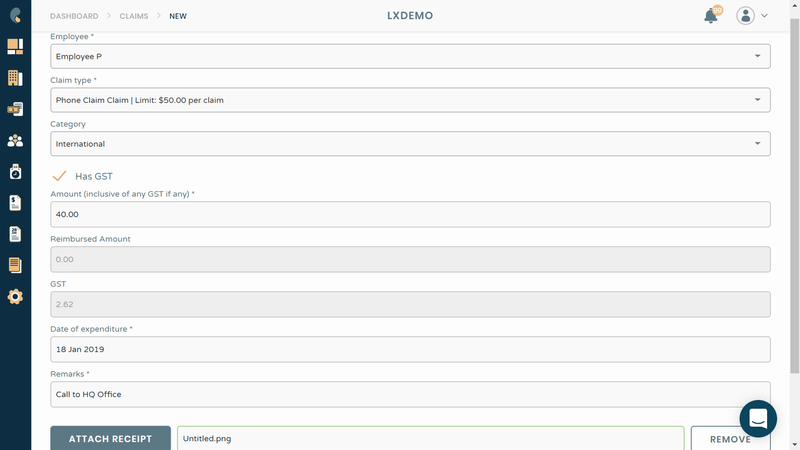 The claim amounts are automatically totaled as more claims are added. Scroll to the bottom of the screen and click the Submit button to confirm.